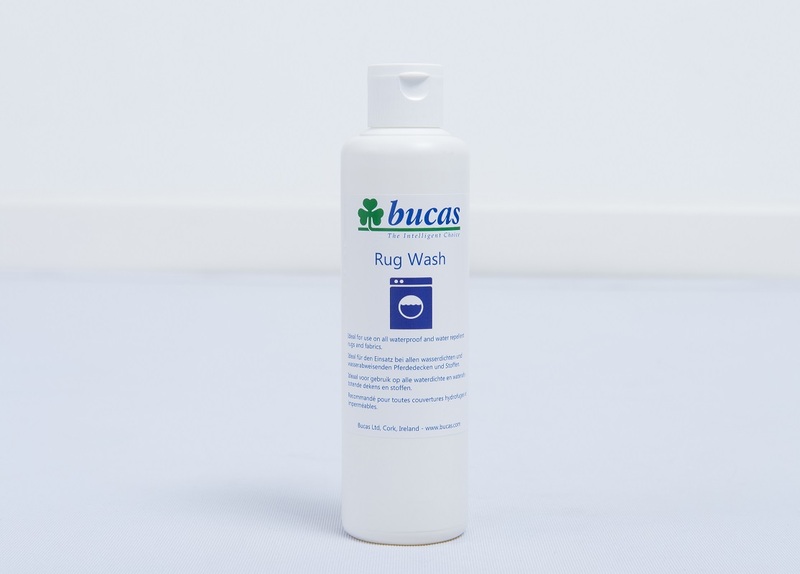 Bucas Rug Wash is ideal for use on waterproof and breathable rugs and fabric. For full guarantee on Bucas rugs, Bucas Rug Wash should only be used. This special phosphate-free wash is ideally suited for all waterproof and water repellent rugs as well as other articles of waterproof fabrics. 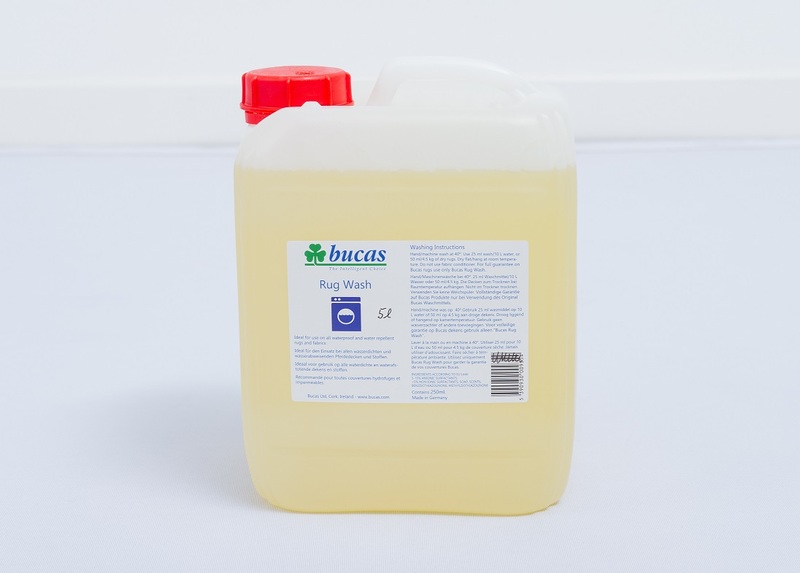 Bucas Rug Wash is available in 250ml and 5 litre bottles. Bucas rugs should be hand washed or machine washed at a maximum of 40 degree’s. Use 50 ml for 4.5 kg of dry washing or 25 ml for 10 litres of water. Do not machine dry or spin dry. Dry flat or hang to dry at room temperature. Do not use fabric conditioner or other chemicals.